The Korg Volca Mix Pack. Inc Volca Mix, Beats, FM & Bass is the ultimate all-in-one Volca package comprised of four Volca units which you can use independently or all together to create a wide range of sounds and rhythms. 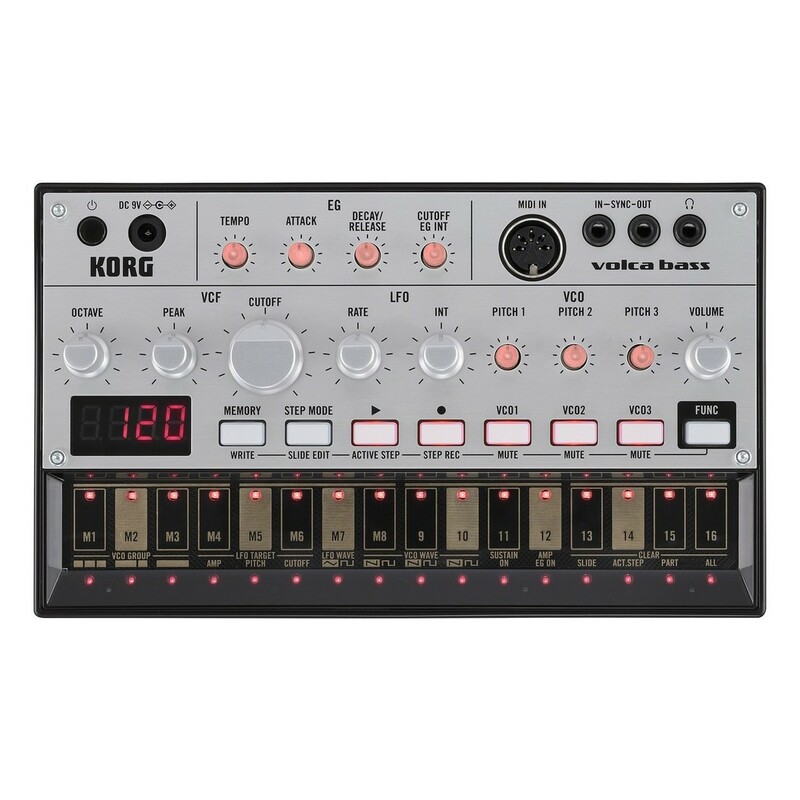 The Volca Beats is a compact analog rhythm machine featuring a 16-step sequencer and powerful analog sounds. The Volca FM is a versatile 3-voice polyphonic FM synthesizer also featuring a 16-step sequencer and onboard sound editing capabilities. 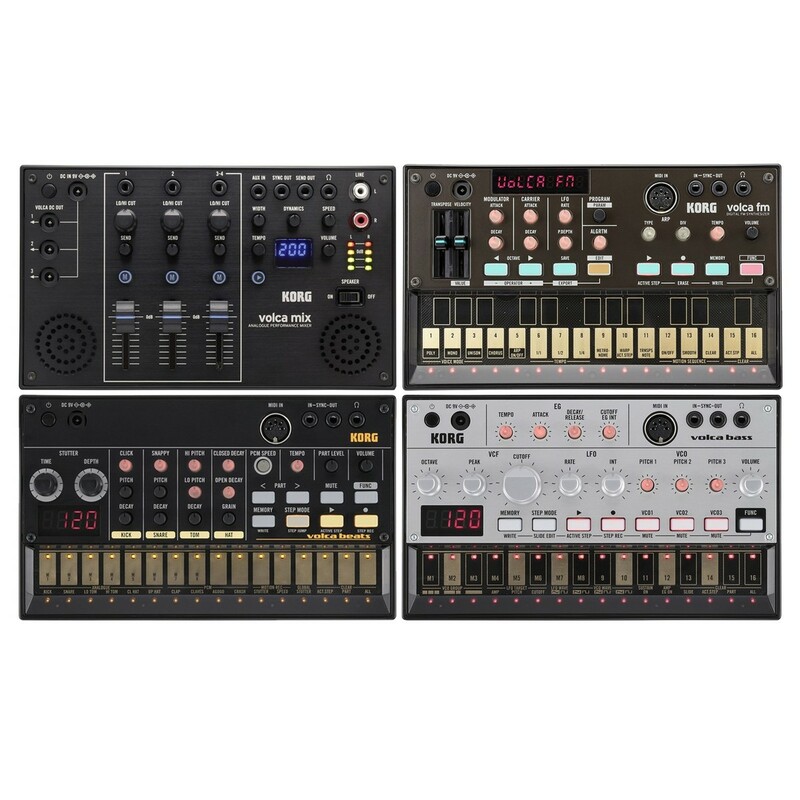 The Volca Bass is designed to create powerful analog basslines, featuring three oscillators and analog filtering. 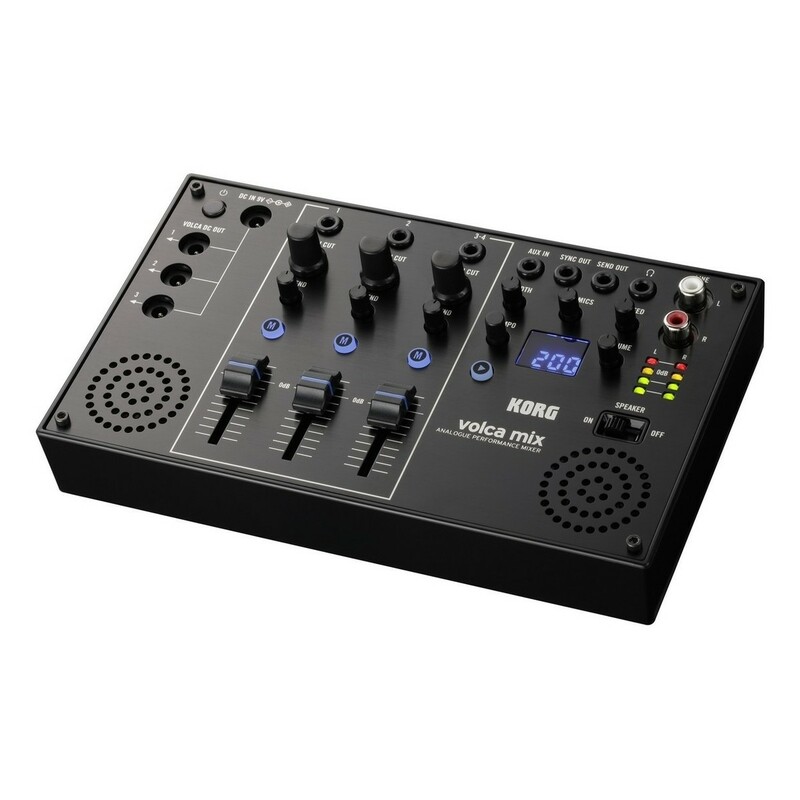 The Volca Mix is a 4-channel mixer which you can use to mix all the Volca units together, ideal for live performances and sound experimentation. 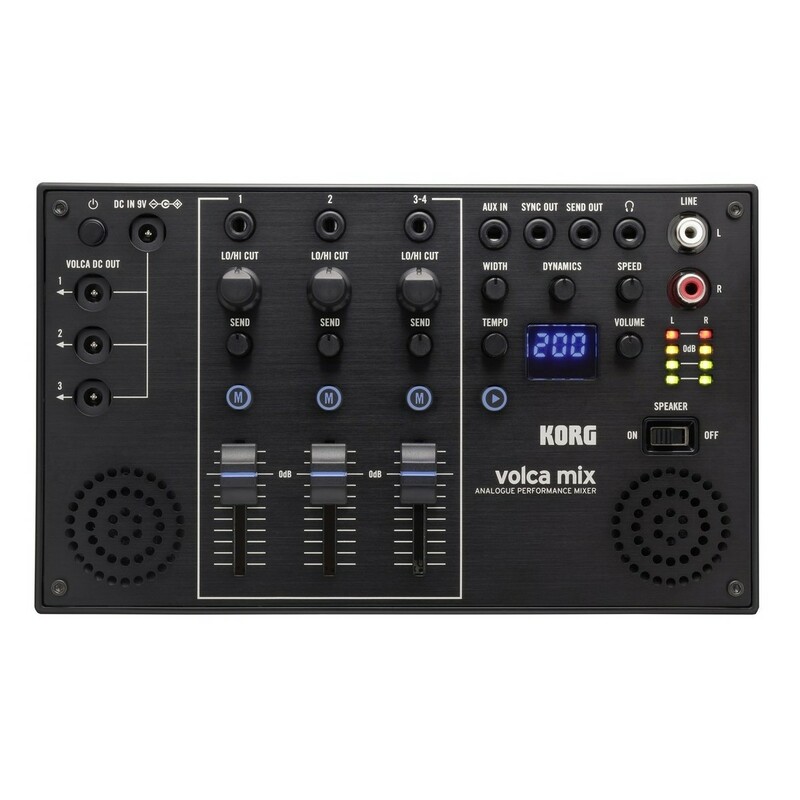 This compact mixing solution for the Korg Volca series, allows you to unlock more potential from your Volca units. 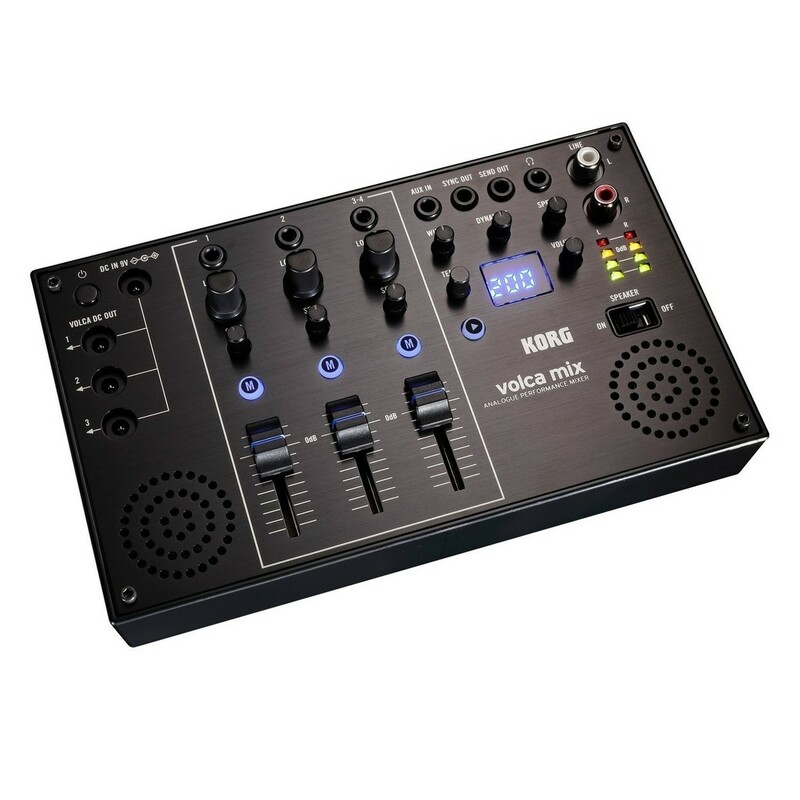 Its varied controls and premium-grade components make it ideal for use as a live performance tool. It also boasts a range of controls and built-in effects for added versatility. 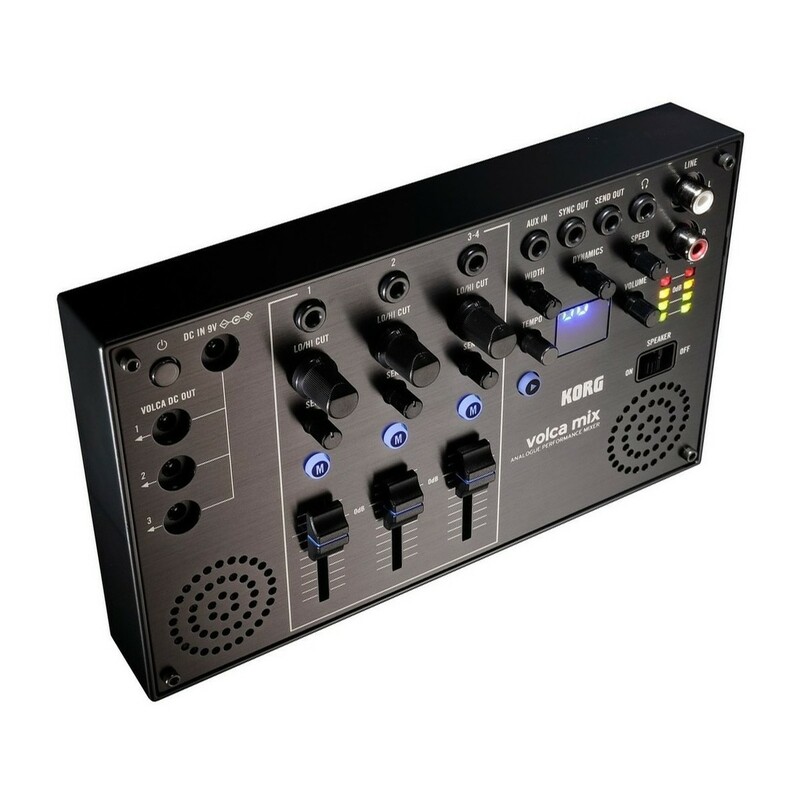 The four-channel design features a sync function that acts as the master control for your live setup, you can easily synchronise multiple voltage units, inclusive of tempo settings and more. 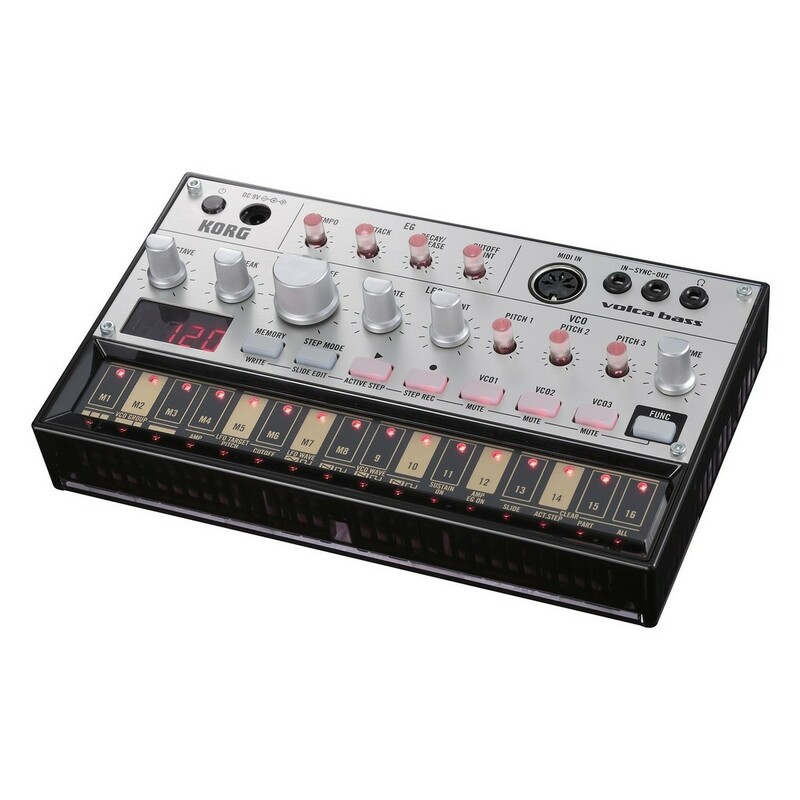 The Volca Beats combines vintage style and sound with modern day innovations, resulting in this high-end beat machine. 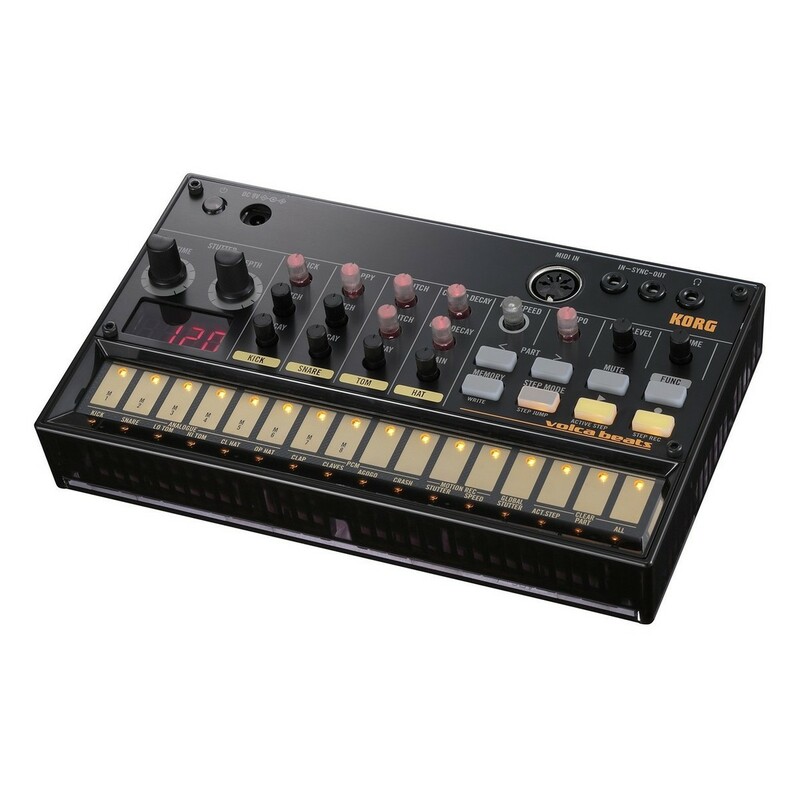 The unit features an onboard 16-step sequencer, borrowed from Korg's Electribe; as well as a wide variety of analog drum sounds. The highly compact design makes it one of the most portable drum machines on the market, allowing you to create rhythms and patterns on the move. The analog circuitry ensures you capture the warmth and grit associated with the circuits normally found in vintage synthesizers. The ergonomic design and wide variety of connectivity makes it highly versatile, whilst still remaining easy to use. 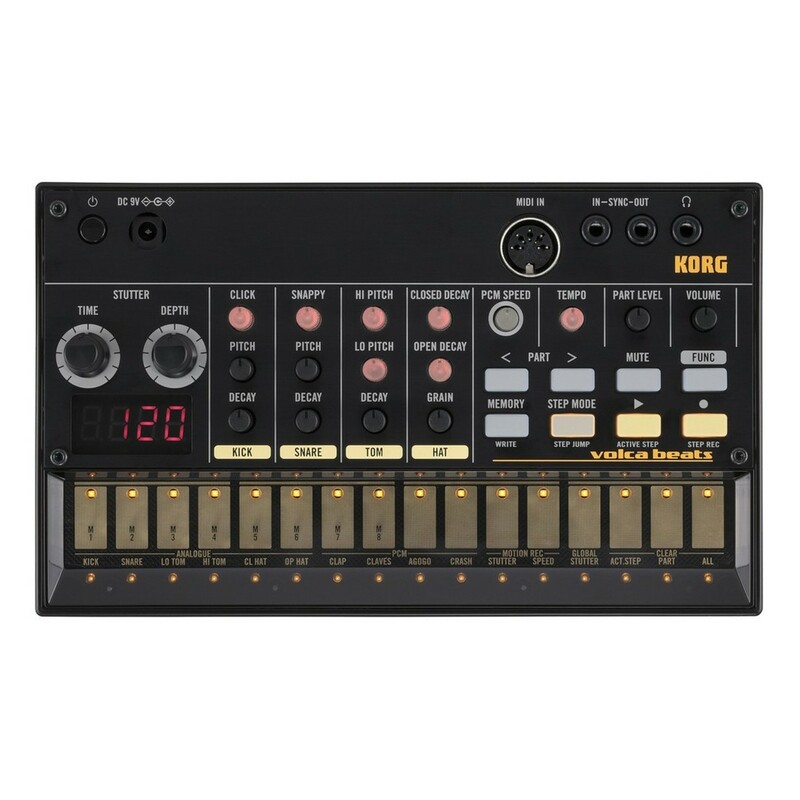 The Korg Volca Beats provides you with a range of sounds including: Kick, Snare Hi Tom, Lo Tom, Closed Hi Hat, and Open Hi Hat. The sounds are reminiscent of 909 and 808 drum machines, with some of the sounds prevalent in modern and older dance music. The powerful analog sounds provide with a full-bodied tone, with crisp highs and booming lows for optimised audio performance. As well as the standard sounds, the Volca Beats also included a PCM sound engine, which covers for the sounds that can’t be generated by the analog circuitry. Combining modern technology with the vintage style provides you with Clap, Claves, Agogo and Crash sounds for additional flexibility. The rough lo-fi sound it produces is reminiscent of 80s synths. You can even change the PCM speed to raise or lower the pitch for added versatility. Volca Bass is an analog bassline groove box giving you a wide range of basslines from aggressive sounds that stand up to drums and fat sounds that support the rhythm to funky groove-generating sounds. Its simple structure has an unmistakable presence that can't be found with digital synths. Ideal for those new to synths, Volca Bass' step sequencer is distilled from the Electribe and is not only intuitive to use, but inspiringly powerful too.